Whether you have an attached or unattached garage on your property, proper insulation of the walls, roof, windows, and garage door make a big difference for comfort and condition of your vehicles, equipment, and any property stored within. If you have a garage that shares a wall with living spaces inside your home, the insulated garage door does even more good for you and your family. There is no doubt that having a properly insulated garage door can keep both cold and hot air out of the space directly adjacent to your home. Even if the garage is not climate controlled, like most of them in America, the buffer between outside temperatures and your thermostat temperature will reduce energy expenditure. That comfortable air inside the garage will also make it easier to work on projects, service the car, and do anything else necessary inside. Instead of considering the garage a no man’s land in the hottest and coldest months, it can become a more comfortable expansion of living space. This is especially important in unattached garages that do not share a wall with the house. Attached garages have some temperature control help from the heating and air-conditioning of the house. One that is separate can only regulate its own internal temperature through things like insulated doors. Insulated garage doors also help with noise reduction and property safety. Rubberized trim or edging around the door that keeps out cold winds also dampens sound. Insulated doors are thicker and have more substantial materials, which makes them tougher and able to last longer time. Also, this toughness and the edging makes it more difficult for criminals to gain access that way. 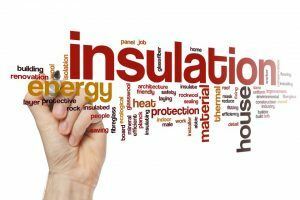 While the internal insulation layer may have little to do with stopping water damage in the garage, the flexible or rubbery trim on the bottom and sides, or edging that overlaps the seams, can keep the rain, snow, and other wet weather outside where it belongs. This helps reduce the chance of your garage floor, walls, and a stored personal property being damaged. The choice to have an insulated garage door installed makes sense for a number of reasons. Most people consider temperature control and utility bill reduction as number one. With the additional benefits of quieter operation, increased security, and a longer overall life span, opting for a new garage door with sufficient insulation makes sense.